Almost a full three years after her certifiable Viral Moment™ of a YouTube video featuring Pharrell Williams reacting with astonishment at a demo of “Alaska,” Maggie Rogers is finally ready for her close up. 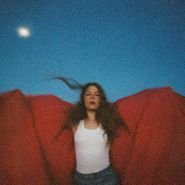 The immediate success following “Alaska” left the young singer-songwriter reeling a bit, struggling to keep up with the expectations and attention suddenly heaped on to her. Heard It In A Past Life, Rogers’ eagerly awaited full-length debut, is an artistic debut on her own terms. Full of folk tradition mixed in with electronica and dance-pop, nobody doubts that Rogers’ style is unique and singular (just ask Pharrell). Yet, Rogers manages to take the excitement that follows her music around and refocus the lens a bit, crafting a nuanced LP that deftly encompasses every aspect of her sound. Thus we get the forward thinking production of “Give A Little,” full of manipulated samples and various electronic blips and beeps, alongside the spotlight-stealing “Light On,” which features a gigantic, yearning chorus of the sort that is instantly recognizable to anyone familiar with pop radio. Then there's the almost gospel-like “Fallingwater,” which might be the brightest spot of all. A stripped-down ballad built over a few simple piano chords, it leans on the strength of Rogers’ voice, the same element that made “Alaska” so immediately captivating years ago. For an artist whose career started off as a surprise, Heard It In A Past Life proves that she has plenty more left.